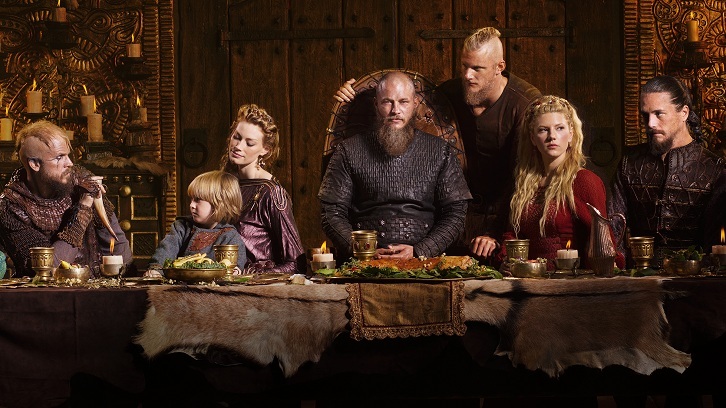 It’s Christmas this week on Vikings, and each country is bustling as the characters ready themselves for whatever local customs their religion and society demands. However, when families gather together there is bound to be a certain amount of quarrelling and bickering, especially if there is a struggle for power or old resentments lurking in the shadows. 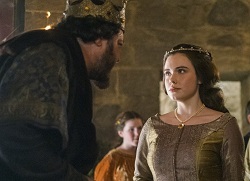 The intricate political alliances that Ecbert has been so carefully sowing to strengthen his influence over the English kingdoms come under scrutiny during Aelle’s Yule time visit. He may have thought that he had been fairly discrete so far, yet Aelle is no fool and can tell when the odds are being stacked up against him. If legend, and indeed history, are anything to go by then he will be the one to keep an eye on through the upcoming episodes. I have a feeling he, and his kingdom of Northumbria, will be left out in the cold as the animosity grows between the two three - if you count Kwenthrith - Kings, which will have dire consequences for all when Ragnar finally returns. 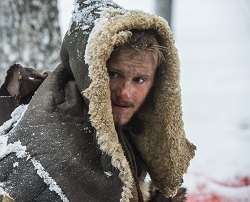 Back in Kattegat there is someone who is possibly even more of a social pariah however. 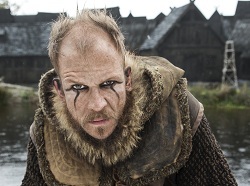 The village is preparing for Yol by decorating the Great Hall and feasting, but Floki is only an observer of this year’s celebrations. Not that he is too concerned after two separate incidents make it clear to him that the gods do have a purpose for him still. Firstly, a visit to the Seer brings news of a prodigious nature, and later when a prominent member of the community requests a favour from him, he realises that he was right to choose to stay in the village after Ragnar cut him down. This change of fortune could bring complications later down the line for both he and Helga if certain people were to discover their secrets though. Bjorn’s territorial fight with the bear was brief, and perhaps a tad unsatisfying considering it has been teased for nigh on a year. But not to fear, the real battle is about to hit once Erlendur’s Berserker finds his prey, and it’s this mission that will be the one to prove Bjorn’s worth as a man. He’s already wounded from his earlier encounter, and is also swiftly relieved of his axe during the rapid chain of attacks designed to disorient him, so it’s time for him to think creatively if he’s going to get through this in one piece. Fortunately, he can be innovative when it comes to improvising a weapon, and ruthlessly coldblooded in achieving his goals. If your face muscles don’t involuntary twitch during this brawl then you’re made of sterner stuff than I.
Yol airs on Thursday March 10 at 10/9c, below are a few dialogue teasers to see you through until then. If you want to have a go at guessing who said what I will fill in any correct answers before it airs. Don’t forget to come back and vote in our poll after the episode and let us know what you thought.